Konfidio is a technology venture studio based in Berlin, focused on blockchain & AI with the aim to build a decentralized future. 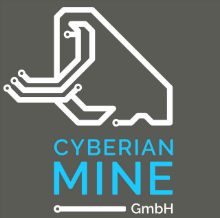 Cyberian Mine is a Berlin based startup bringing renewable and inexpensive hydro electricity from Siberia to the European cryptomining market. 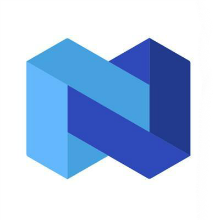 Nexo.io is the world’s first instant crypto backed loan provider. Being among the leaders in Europe in the cryptocurrency landscape, the companies take responsibility to explore innovations in the blockchain industry and to spread awareness related to solutions that provide a more efficient way to enter the market. Thus, Konfid.io, Cyberian Mine and Nexo.io will explore some of the different investment opportunities and ways to invest in the crypto space. One such opportunity is the mining of cryptocurrencies instead of direct purchase of the underlying assets through an exchange or OTC seller. 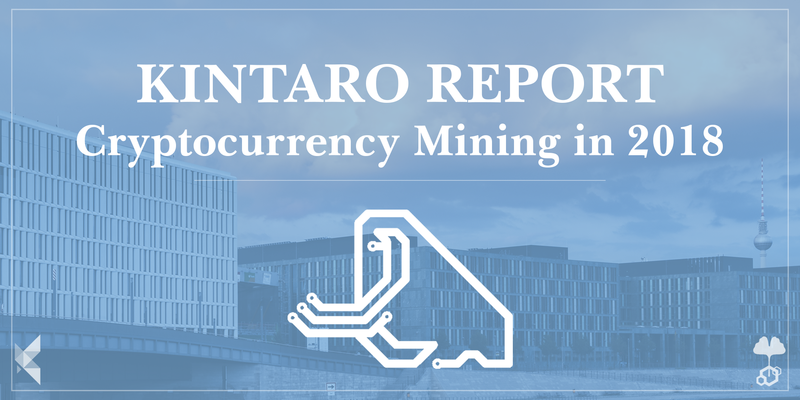 This report is aimed to provide an overview of the cryptomining industry and to view mining of cryptocurrencies from an investment perspective. The summary of findings has been condensed in terms of the various options an investor might have in order to invest in cryptomining, as well as giving an insight into the financial options available to an investor to fund his or her cryptomining venture. The report also aims to understand the gap between the expectations of today’s investors and the solutions provided by traditional financial providers. The key findings suggest that cryptomining can be a lucrative investment path for an investor who views mining as the reduced risk and steady reward portion of their crypto portfolio. Despite the potential reward ratio, it can be difficult to finance mining operations and hardware purchases. In 2018, there has been an increasing inflow of money and services into the crypto space from a wide variety of institutions, compared with almost zero institutional players the year before. The number of crypto wallets has increased from 5 million to 24 million in the last 3 years.¹ In the last 9 months global trading activity has also increased significantly due to the introduction of BTC futures and cryptocurrency derivatives. These numbers suggest we are now in the Trough of Disillusionment of the Gartner hype cycle, and the risk-reward can be estimated based on certain assumptions. The anticipated price range of the underlying cryptocurrency. The mining reward per block. Capital Expenditure for the mining equipment. Operational Expenditure including electricity, facility and maintenance. Ideally the margin between costs and revenue can be kept constant even with changes occurring to the price of the cryptocurrency, and the difficulty of its mining algorithm. Illustrated below are the expected revenues and operational net profit from mining bitcoin based on a constant monthly difficulty increase of 3%, and an appreciation in bitcoin’s price of 2% month-on-month respectively. If difficulty continues to grow at a faster pace and without any increase in the bitcoin value, it will still be possible to keep the facilities in places like Siberia viable — but it will take longer to recoup the initial investment. The monthly cost in this forecast is based on the all-in (electricity plus hosting, installation, lease, security etc.) price of €0.06/kWh provided by Cyberian Mine for the most recent ASIC miners. The investment can be recouped within a year (i.e. the capital expenditure for the mining equipment) based on our initial assumptions. Many factors must be taken into consideration when predicting the economic success of mining. These factors include initial hardware cost, access to an efficient and economical supply of electricity, the cost of smart monitoring or local engineers, additional costs associated with cooling in warm countries, and — for ethical investors — the environmental impact of the power source. Marginal improvements in a number of key areas can provide big savings on a large scale, and relocating mining operations to countries with a lower price for energy can provide one of the bigger boosts to revenue earned. If its price drops or the difficulty rises more quickly than value of bitcoin rises, more and more regions will feel pressure on their profit margins, eventually having to shut down operations due to poor location choice. Analysis by Cyberian Mine, derived from the average electricity price per country published by Investopedia, reports that only 17.5 % of the countries currently mining bitcoin would remain sustainable if the price of bitcoin falls below $3400. In Siberia it would still be possible to stay viable at the bitcoin price of $3400 — if the rate of hashrate growth slows to around 3% month on month. This slowed rate of growth, could be expected if a 50% reduction in the value of bitcoin were to occur because, as shown in Exhibit 3, many mining farms will become unprofitable and will need to switch off their machines. In order to let investors take advantage of locations with inexpensive and renewable electricity, Cyberian Mine, in consultation with KPMG, has found a regulatory solution for remote mining investment. It would not be legal to own or operate machinery in Russia without being a Russian entity — however, having a local agent company in the relevant jurisdiction makes it possible to operate there whilst billing from their German GmbH. The same methodology could be applied to other jurisdictions. An option that Kintaro Capital will offer in the near future is a Professional Investment Fund specifically focused on cryptocurrency mining — whereby people can invest in the fund itself, rather than operating the machines themselves. The exhibits below show the global survival rate based on the cost of mining for different countries. Exhibit 3: Survival rate based on cost of mining a bitcoin in different countries. This is the inherent risk reward for mining: an investment directly in bitcoin followed by a 50% drop in value would, of course, create a 50% loss on the initial investment. Mining can however, over time, recoup the initial capital investment and go on to generate profit, even in a market downturn. The reward of early stage investing in blockchain projects, the trading of small cap coins, or even simply buying and holding bitcoin would likely outperform mining in a bull market. Nevertheless, in those particular market conditions, mining itself would then provide an extremely good ROI vs traditional investments. In the current market conditions, it can be difficult to obtain loans from banks and other large financial institutions Banks understandably are concerned about possible risk, and do not consider financing cryptomining projects at a competitive borrowing. For those with large investments in cryptocurrencies, a crypto backed loan may provide a more flexible and readily available financing option. By using their crypto assets as collateral, there is no need to exit existing positions to invest in a mining operation. There are multiple crypto backed lenders besides Nexo, but those are mostly P2P platforms with long matching processes. Funds are often locked up and must then be paid off in installments; with the collateral sometimes unavailable until full repayment. The value of your crypto assets can be used as collateral in order to get more capital, rather than having to sell them outright. Easy and quick access to fiat via either bank transfer or service provided cards. (eg. Nexo credit card). Up till now, liquidating digital assets is associated with a long waiting time for cash to be credited. Fixed and transparent pricing with flexible repayment options. The ownership of these digital assets is still retained by the borrower. Benefit from sudden growth opportunities and appreciation in underlying digital assets. Avoidance of redundant charges to get access to cash. Capital gains tax, exchange charges and withdrawal fees are not incurred with a crypto backed loan. There are no credit checks when compared to traditional financing loans. Thus, equal access is provided to everyone without the need of a credit score. Trust and security is guaranteed by transparent blockchain loan contracts. The second risk is if the value of the collateralized assets falls below the margin threshold of the loan platform. This would lead to partial loss of the assets, or the need to repay the loan with additional capital. A company that aims to mine crypto assets could offer its shares to the public, or a private investor, through the traditional financing route, and then pay out dividends on the mining profits. Tokenized Access is a similar option for someone who wants to share the initial investment among a group of investors. The hashpower can be rented out to other mining enthusiasts for a subscription fee, which then covers costs and provides profit for everyone with a stake in the project. Profits can also be used to reinvest in setting up more machines. Energy companies can give incentives for investment in mining farms, especially in those areas where power is cheap and there is a surplus in the electricity generated. One cost factor in energy use is the distance from the point of production to where it will be used. Mining farms can be set up very close to existing energy infrastructure and deals can be struck with energy providers. Simply buying the machines and waiting for profits to purchase more is an inefficient use of mining equipment. Companies like Cyberian Mine offer unique services in the cryptomining space, to support their own growth. Their buy, mine, sell model gives retail and institutional investors access to preinstalled machines at competitive prices. They themselves utilise the machines whilst building their customer base, which then finances quick expansion. What to do with my crypto assets? Reinvestment: The cryptocurrencies could be liquidated partially or wholly to cover ongoing costs, acquire new equipment and pay for other operational expenses. HODL: The Hold On for Dear Life strategy is another option for investors. Investors keep their crypto rewards longer than they need, so long as the holdings perform according to sensible expectations. Trading and Hedging options: The mining investor could try to maximise their gains by trading with their crypto earnings. When an imminent dip in the market is anticipated, the position in digital assets could be closed and then subsequently re-entered. A decent amount of profit can be created out of this momentum trading of the mining rewards. To reduce the risk, a futures strategy can be implemented on many of the largest market cap cryptocurrencies. It’s worth noting that premiums on crypto options are higher than traditional asset based options due to their greater volatility. If some impending news is anticipated about a particular crypto, a zero cost collar could be implemented. This allows the investor to protect unrealized gains without having to sell the holding right away. A zero cost collar can be implemented by buying an out of the money put option and simultaneously selling an out of the money call option with the same expiration date. When taking out a crypto backed loan from a service like Nexo.io, short and long-term capital gains taxes are avoided. Borrowing capital by offering your crypto assets as collateral does not create a capital gains event. VAT rules vary from jurisdiction to jurisdiction and should be assessed before investing in mining. Due to Cyberian Mine operating with a Russian child company, Russian VAT does not need to be paid. As the company hosting the facility is providing services to non-residents, the place of provision is considered to be outside Russia. Whilst the consensus model most popularly used in mining is currently Proof of Work (PoW), this may change in the future as more projects consider moving to Proof of Stake (PoS). PoW currently requires a very large amount of energy usage due to the processing power required, meaning then that a future with PoS could drastically reduces costs in the mining world. More coins have specific plans in their roadmap to move to a proof of stake consensus model, with Ethereum looking to join the ranks of other altcoins such as NXT, Decred and Peercoin that already run without PoW. If some technical and logical hurdles can be overcome, we may then see an almost complete move towards PoS. Although due to the conservative nature of bitcoin development it is extremely unlikely that bitcoin itself would ever change its consensus model. PoS mining does bring with it some risks, as there is an incentive for Nodes to validate both chains if there is a fork. This is known as the zero-stake problem, as you do not lose anything from behaving badly in the network due to the low intrinsic costs. The best strategy for a bad actor is to mine on both chains, no matter whether it be accidental, malicious or the true chain. With PoW, miners are incentivised to put their hashing power on only the correct chain, otherwise they face the chance of incurring high running costs with little to no rewards. PoW continues to be the only real working consensus model for mining at the moment, but we may see a large shift in the next 3–5 years as more protocols are put in place to solve the issues related to PoS. “My view is that Proof-of-Stake has massive advantages in terms of being cheaper, scaling better, being faster, having stronger game theoretic security properties and not being an environmental disaster. However, with global electricity prices rising and western economies already paying large sums per kilowatt-hour, other methods of energy production will need to be explored. Not only can we decrease the environmental impact that mining has on the world, but we can also look at factors which can significantly lower the financial cost too. One particular way to reduce the cost and environmental impact of mining is by using renewable energies such as wind, solar and geothermal. Cyberian Mine currently makes use of hydro power, allowing for a much lower environmental cost when mining with a PoW consensus method. Mining may be a way to incentivise the investment in renewable sources of energy. With an increasing returns available to miners per coin comes an incentive for people to operate in the black market, where individuals steal energy or break local regulations in order to run mining operations. In April this year 600 computers were seized from a property in Tianjin, China, after the local power grid noticed an abnormal amount of energy being used at the premises.⁷ It is currently thought to be the largest every energy theft on record in China. The consequences of undertaking an illegal mining operation in China, and many other countries results in the confiscation of illegally operating equipment and the possibility of arrest. Although the country is a key player in the global mining industry due to it’s cheap hardware, labour and energy costs, China continues to restrict and discourage cryptomining.⁸ A large energy surplus provided a boom to the industry, but with less power being produced in the country now, and a more hostile environment toward cryptocurrencies being, legitimate mining firms are deciding to relocate to more accomodating countries. Illegal mining also occurs in countries with high energy costs, due to the amount of money that can be saved when siphoning power. In South Korea, the most expensive country in the world to mine at a cost of roughly 26,000 dollars/BTC⁹, it is still possible to get attractive rates for agricultural and industrial buildings in underdeveloped areas. This has led to many cases of these premises being illegally rented out to miners, providing them with an unfair advantage in the market. For legitimate facilities, the closure of illegal mining spaces provides more opportunity for profit. When illegal farms get shut down, the rate of growth on the network slows and provides more room for legitimate miners. Cyberian Mine and Kintaro have chosen however to operate in countries without large risks to mining operations. Norway, Russia, Switzerland and a few other countries provide numerous benefits for those who wish to mine, with a combination of government support and cheap hardware, labour and energy costs. Mining in crypto-friendly countries, may reduce the chances of illegal mining operations surviving which could lead to the bottom of the black market to fall out. This will leave us with a number of regulated spaces remaining that support the market. The pressure from operating expenses in terms of maintenance, electricity, personnel and facility needs to be outweighed by the revenue generated from mining. These expenses vary from country to country based on the cost of living and economic policies implemented by the respective geographical region. Some regions have even defined policies specially targeted towards mining. Quebec, for example, recently authorized utility Hydro-Quebec to raise the electricity prices to 15 cents per kilowatt hour, about three times the older prices for blockchain price for non-mining use. Although Hydro-Quebec spokesman Jonathan Cote said that they didn’t want to send a message to the market, the market certainly reads their action as counter-neutral towards mining. Ultimately, some areas with higher operational costs or unfavourable policies will stop mining and the areas which provide an edge in terms of compliant policies and incentives will prosper further. Like the rest of the crypto world, mining has also been a target for a number of scams in the past. Cloud mining scams were particularly rampant, with lots of people paying for hash power at a mining data centre but receiving no rewards in return. Prior to 2014 the costs of mining were relatively inexpensive and rigs could be bought and used at a low price.¹³ However, as the price and cost increased it become more difficult for an individual to undertake a mining operation themselves. Scammers saw an opportunity to take advantage of the fact that people needed to group together in order to be continue mining efficiently. Investors should then seek to find mining companies where they can physically place and see the hardware, trust those involved and maintain transparency throughout the whole process. Cyberian Mine, in partnership with the team at Konfid.io, offers such an opportunity to investors. Eventually they will move the provenance and the rest of the supply chain for the machines they host onto the blockchain. The staggering rise in the hash rate recently implies new miners coming into play. Increased Competition in the cryptocurrency Mining space is leading to miner centralisation. The pie chart below gives an estimate of hashrate distribution amongst the largest mining pools for bitcoin. With more mining pools having more hashrate, they have more influence over the network which raises questions regarding centralisation and vulnerability of the network. Mining facilities, such as Cyberian Mine, that give access to professional mining conditions without limiting their investors to the major pools may be a way that the spread of decentralisation can be prohibited. Clients who choose to colocate their hardware with Cyberian Mine are left with the freedom to select the pool they want to be part of. 15 years ago and in line with increasing network bandwidth, businesses other than banks, insurance and IT service providers (who were already there) started to move their company servers into data centres to benefit from higher security, more reliable network connectivity and for multi-office businesses: vastly reduced overheads for managing their servers from a central point. Within 5 years, cloud computing started to emerge with businesses moving their applications and data into a virtualized hardware environment managed by a 3rd party, thus removing their costs and responsibility for maintaining the physical hardware. The benefits being, ease of scale, increased server redundancy and in the case of a multi-national company: having their service closer to the consumer (FOG computing). Within that time, new software defined platforms have emerged to give greater central management to an ever expanding infrastructure spread. Add significantly faster global network speeds and blockchain technologies into the mix and services can now be distributed even further. Although distributed computing is not a new concept (SETI is a fantastic example), the range of applications to harness this topology has been limited until now where an explosion of distributed and decentralised computing applications are being developed not just for businesses, but also as a means of monetising consumer devices. One example of this is Cudo. Cudo is a UK based software house currently developing cryptocurrency mining applications for various sectors: Charities, hobbyist miners and gamers. As miners themselves, they identified profitability and ease of use as the key requirements for hobbyist miners. Their software, currently suitable for both CPU and GPU mining will by default automatically benchmark the users equipment to determine which cryptocurrencies are most profitable to mine at that time, switching efforts to other algorithms as and when they become more profitable. With geography limitations removed, hobbyist miners can also host their GPU rigs remotely, within mining farms where cooling is more efficient and electricity rates are lower, further increasing their profitability. Their roadmap includes further device monitoring and management features with the goal of releasing an advanced version of the software for ASIC miners early 2019. In conclusion we can state that cryptocurrency mining seems ideal for the low risk, lower reward portion of a crypto portfolio. Facilities in locations like Siberia can survive close to 50% of a drop in the value of BTC, and still offer returns to investors above their costs month-on-month. This is a way to mitigate risk in a potentially falling market. However the potential return on bitcoin, or other cryptocurrencies in a market where the value of the coins goes up, would be higher for investing direct in the underlying tokens. The PoW consensus model may be replaced for projects like Ethereum, but it is here to stay for bitcoin and for some of its potential rivals like the privacy coin Zcash. Mining is projected to be a $38B market by 2025.¹⁶ Options like crypto loans, regulated funds that give institutional investors access to jurisdictions with the best mining conditions, and efficient management of the rewards earned by mining investors mean mining is still an attractive proposition in 2018.